HSE's Vacant Properties: Could They Be Used for Housing? A few months back, a reader reached out to us through our “Ask Dublin Inquirer” box in the sidebar and asked: Could you look into the number of buildings the HSE have in the capital that are vacant and could be used for housing? So, we said we would find out what we could. He wasn’t the only one curious. Just before the Christmas holidays kicked in, independent Dublin city councillor Mannix Flynn piped up in a council meeting to ask about some vacant homes on Grangegorman Lower. Nine homes, to be exact. They had been vacated, boarded up and remain empty almost three years after families moved out. Now, they look dank from the outside, with graffiti sprawled along the walls. The metal used to board up the windows is beginning to look worn out. So why haven’t Dublin City Council used these houses for some of the city’s many homeless families? Well, because it’s actually the Health Service Executive that owns them. The boarded-up row at Grangegorman Villas. “It’s something we’ve taken our eye off, the HSE has a number of houses in the area,” said Flynn at December’s central area committee meeting. He raised concerns that the properties might be sold on the private market, and said he’d rather see the HSE transfer them to the council for housing. At the council meeting, it was unclear whether the HSE had already disposed of properties or not. But the HSE always had quite a lot of property, says Flynn. The dangling question was how much residential property it owns. This may seem like a lot. But ten of the buildings are nursing homes or health centres, not residential houses. And the HSE seems to have plans for most of them, it told us in response to our Freedom of Information Act request for information about this issue. Only five of the properties listed aren’t assigned a future use. Vacant buildings at St Ita’s Hospital in Portrane, County Dublin are being mothballed, so they will remain vacant but well-maintained in case they are ever needed in the future. At St Brigid’s Home in Crooksling, County Dublin, three residential nursing-home units are intentionally empty as part of a move to non-congregated homes. A brief is being written for future uses of an empty out-building at the Meath Community Unit in Dublin 8. 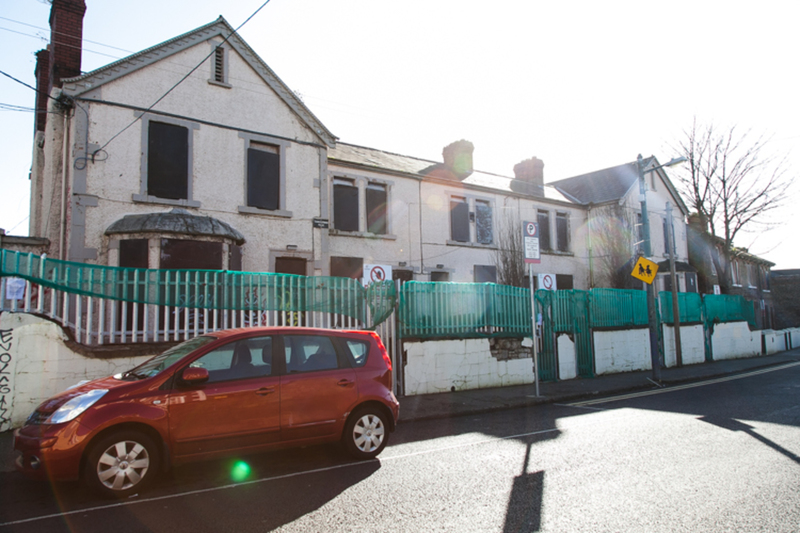 The future of a large residential home on Amiens Street in the north inner city and a derelict site in Artane are currently under review, and have been since at least 2013. As for the other sites, the HSE has various plans. Some are vacant while being refurbished and will return to their past uses, like the HSE offices on the North Circular Road. One building is being handed over to the Office of Public Works. A nursing home on Tivoli Road in Dún Laoghaire is being turned into a facility for the Children’s Disability Network Teams. 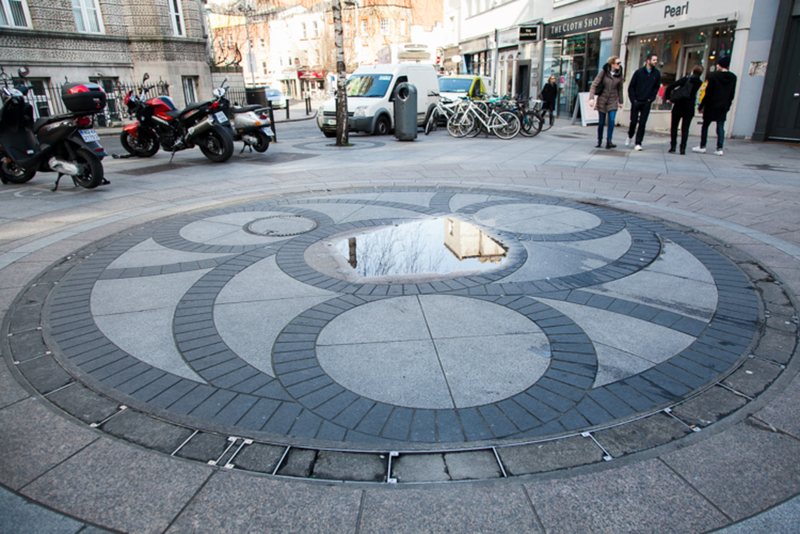 And three city-centre buildings at Cornmarket will become home to the HSE’s communications department. The HSE has planning permission to demolish the buildings on one site in Loughlinstown and to build infrastructure for its intellectual disability services. Since the onset of the recession, the number of vacant buildings owned by the HSE seems to have jumped. In 2009, just two of the HSE’s 434 properties around Dublin were vacant, its figures show. By 2013 this had reached 31. Last month, the figure was 30, but with the disposal of four properties in Ballymun shopping centre to Dublin City Council, that’s dropped to 26. You can explore where each of them are on the map at the bottom of this article. Some of the buildings in the Grangegorman strip wear a sign that says: “HSE PROPERTY KEEP OUT. CONSTRUCTION WORKS IN PROGRESS”. It reads as if work is going on. But one afternoon in late January, there were no builders in sight. The houses, which were home to patients leaving HSE care and institutions, were vacated in 2013, around the same time that St Brendan’s Hospital, Ireland’s oldest psychiatric hospital, closed its doors. The HSE properties were cleared to make way for the work of the Grangegorman Development Agency as part of the new campus for the Dublin Institute of Technology. Though the hospital is long demolished, the handful of houses nearby remain. They look as if neglect is beginning to creep in. According to the HSE’s vacant properties list for this month, a design team was appointed to refurbish 1-5 Grangegorman Villas to accommodate a new healthcare service there. But, it’s not encouraging that in the HSE’s list for December 2013, it said the same thing. The HSE is proposing that the adjacent 26-29 Stanhope Terrace become a mental-health hostel and there’s currently a tender out for the design. Perhaps there will be movement on both projects when a team is appointed to this. Despite the progress, local councillor Mannix Flynn argues that these buildings should never have lain vacant. The HSE kicked the tenants out of these houses, boarded them up and now they are lying unused while there are people sleeping in the streets or crammed into hotel rooms, he says. He’s been inside the buildings himself, and thinks that, with a bit of work, they could be good homes. The defense forces might also have some idle properties, suggests Flynn. Actually, not that many it seems. 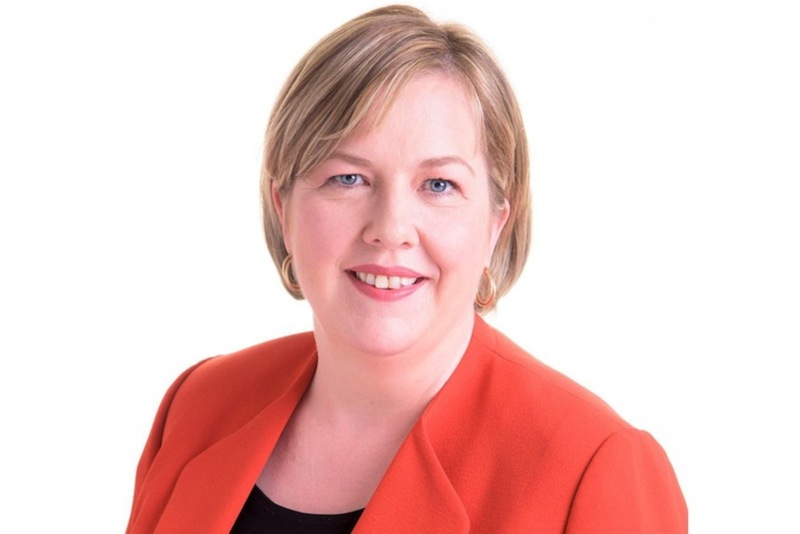 The Department of Defence in Dublin have just three vacant apartments, says Deirdre Creaney of the department’s property-management branch. They are part of a former married quarters beside Cathal Brugha Barracks in Rathmines. 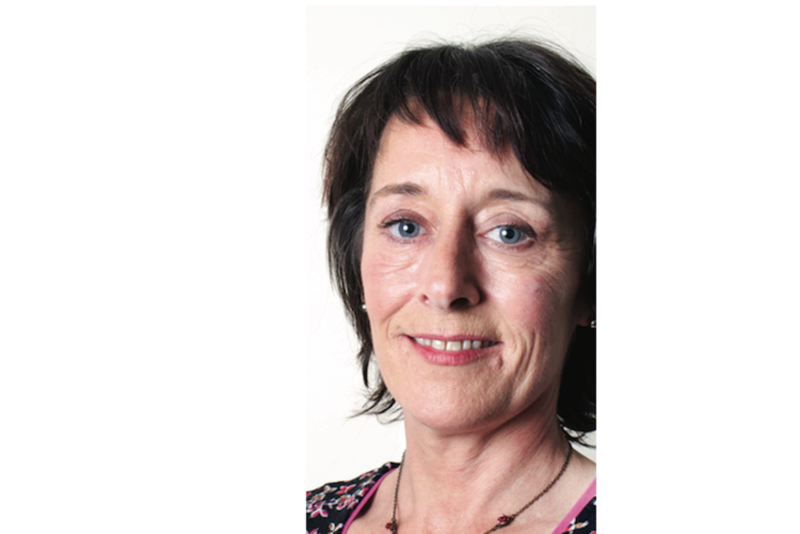 The department’s policy is to sell off vacant accommodation and it will sell the three apartments once some outstanding legal issues are sorted, says Creaney. 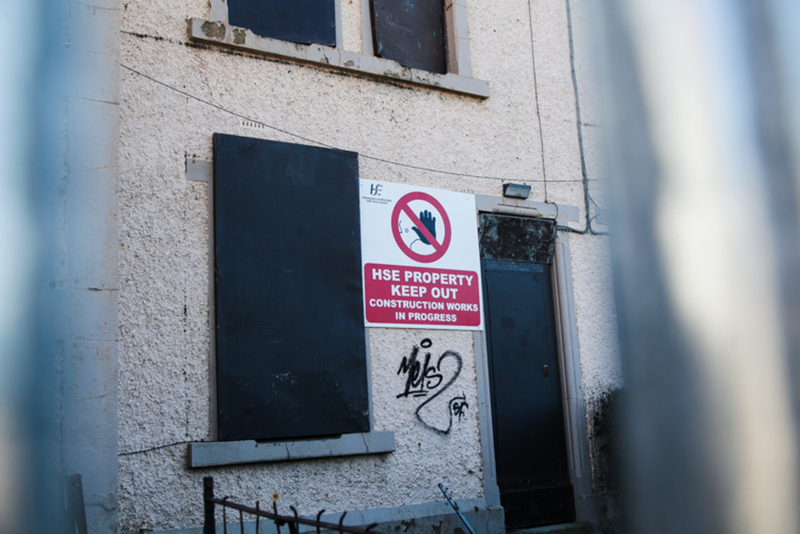 Some of the HSE’s vacant properties might not be suitable for housing the city’s homeless. But the nine houses near Grangegorman would be. And with some work, the large home on Amiens Street — which was formerly a residential unit for children coming from difficult family backgrounds — is also a contender. However, a spokesperson for the HSE says Tusla, the childcare and families agency, currently has its eye on the site in Amiens Street for its services. Would the HSE consider transferring or temporarily lending any of its vacant properties to Dublin City Council to accommodate homeless people? The HSE is in regular contact with the council about this, according to the HSE’s spokesperson. The two authorities engage with the OPW’s online State Property Register, which allows them to get in touch if they have an interest in each other’s property. They did not answer a question asking why the process of redeveloping some properties, like the ones in Grangegorman, was taking so long. But Mike Allen, director of advocacy for Focus Ireland, says he wouldn’t assume that buildings couldn’t be used for housing the homeless. Even the vacant residential nursing homes at St Brigid’s could potentially be of use, he said. Focus Ireland believes all property in public ownership should be looked at with regards to being made available for the homeless — preferably for housing, rather than emergency accommodation. But only if suitable, of course. Although sometimes a property is worth the work, other times just fixing the roof can cost a fortune. The HSE’s properties are worth looking at, but he says he would be surprised if organisations haven’t been keeping an eye on them already.